A savvy juxtaposition of utility and luxury that elegantly converges style and structure. 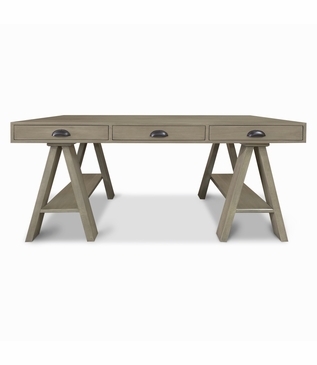 Shown constructed of alder wood finished in a custom grey stain with a matte sheen, the Gaines Desk boasts sawhorse legs for sturdy support and a center drawer that flips open for a keyboard. 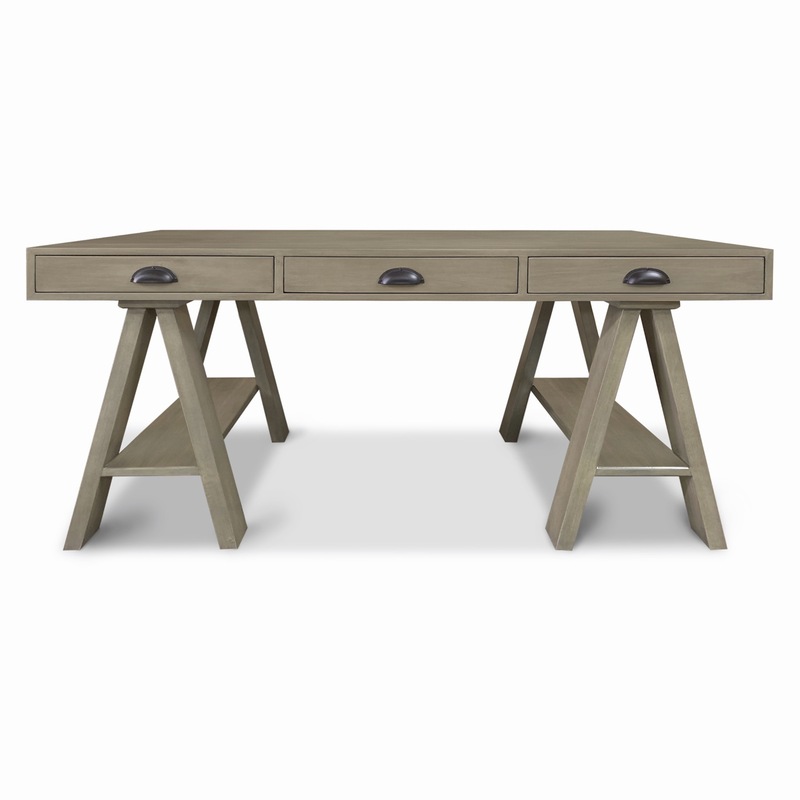 Adorned with oil-rubbed bronze pulls, three drawers accommodate ample office and living space accoutrements. 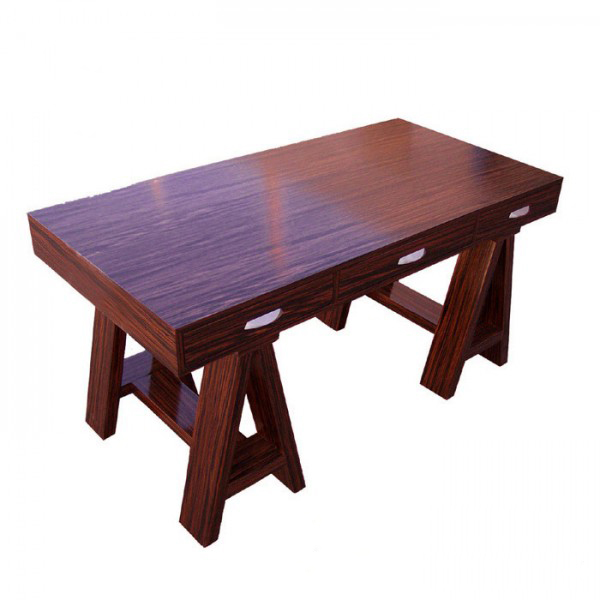 As with all pieces from our Custom Furniture Collection, this beautiful desk is made-to-order in Los Angeles and can be infinitely customized. Choose your own dimensions, drawer configuration, wood type, finish, and hardware. For pricing, please call, e-mail, or submit an online quote request. Dimensions: W: 60" • D: 30" • H: 30"